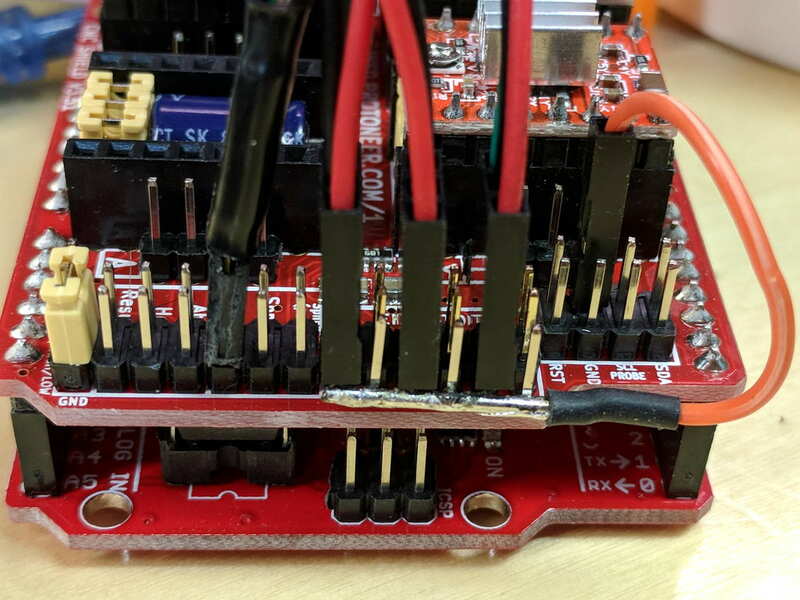 The Protoneer Arduino CNC shield (*) has a row of 2-pin headers for bare endstop switches. 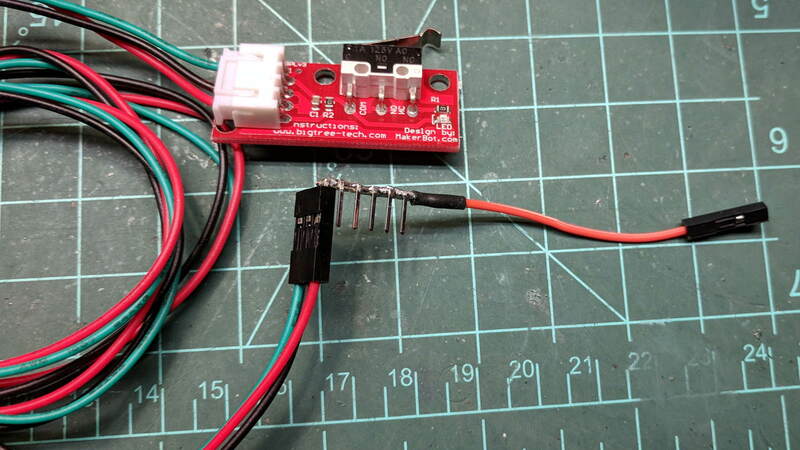 Being a big fan of LED Blinkiness, I have a stock of 3-pin Makerbot-style mechanical endstops that require a +5 V connection in addition to ground and the output. 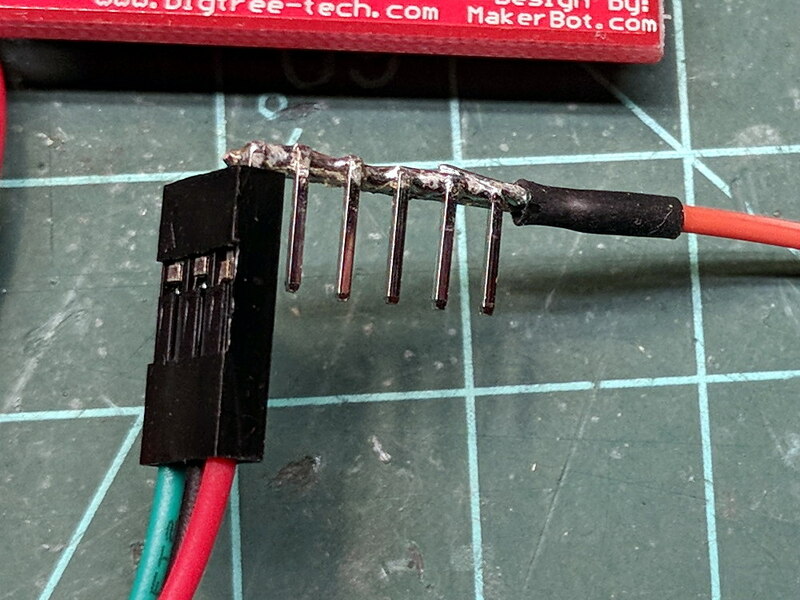 The pins get trimmed on the other side of the bus wire, because they don’t go through the PCB. Looks like it needs either Kapton tape or epoxy, doesn’t it? Three more endstops at the far end of the MPCNC rails (for hard limits) will fill the unused header pins. (*) It’s significantly more expensive than the Chinese knockoffs, but in this case I cheerfully pay to support the guy: good stuff, direct from the source.